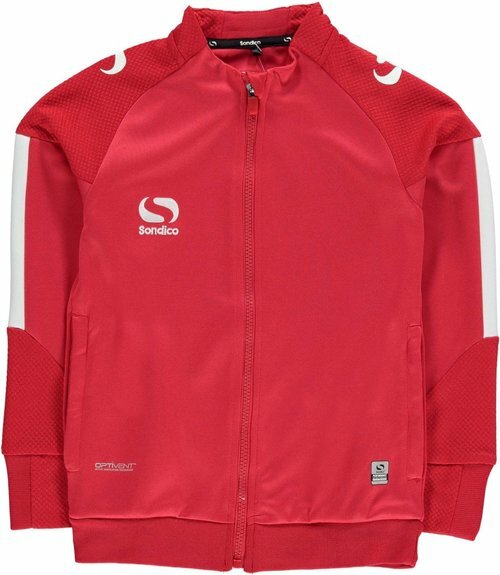 This Sondico Evo WO Jacket features Optivent technology to promote a comfortable, dry fit which pulls sweat away from the body. 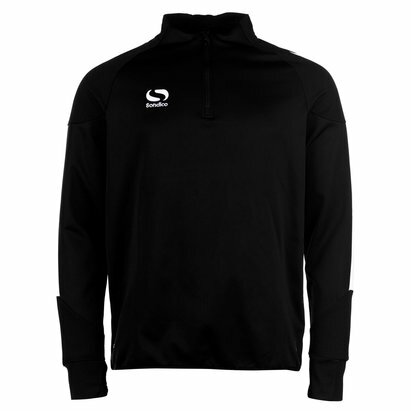 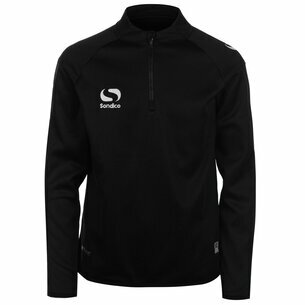 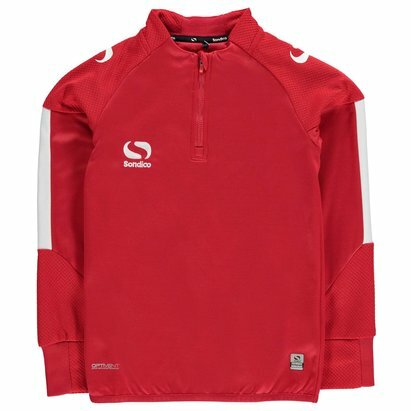 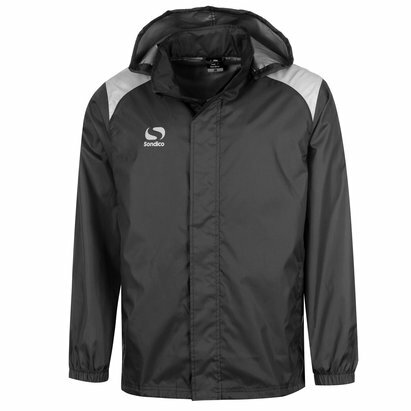 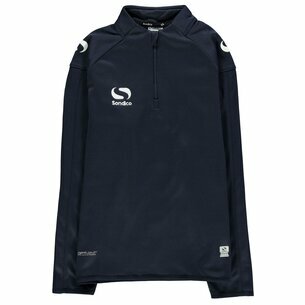 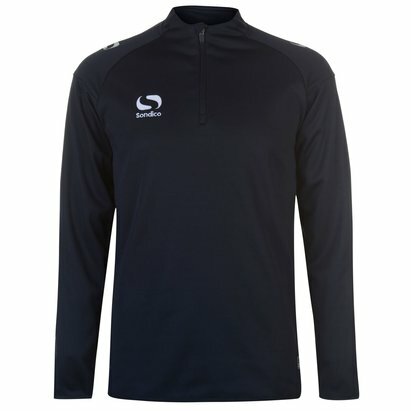 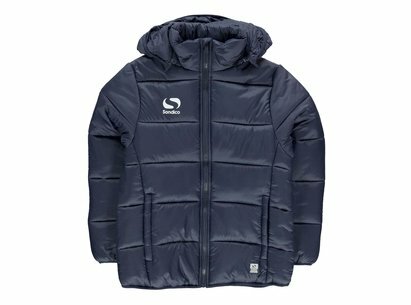 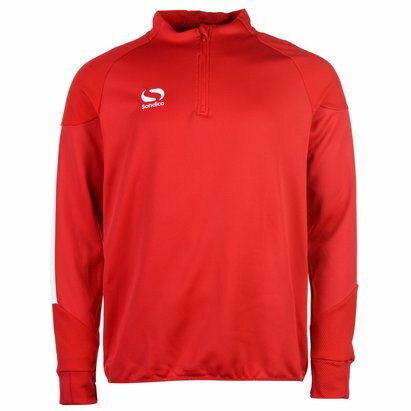 Designed with long sleeves and a full length zipped fastening located to the front, as well as two open pockets. 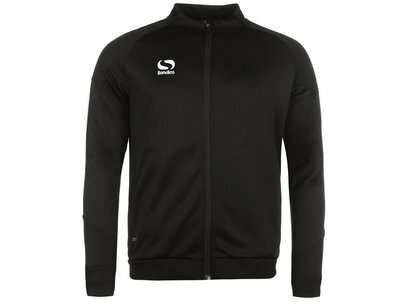 This track jacket is complete with a block stripe detail to the sleeves and printed Sondico branding for instant brand recognition.